The lawyers on Wednesday boycotted courts in district swat to protest the suicide attack on the civil courts in Shabqadar, Charsadda. They demanded strict security for the courts and themselves. 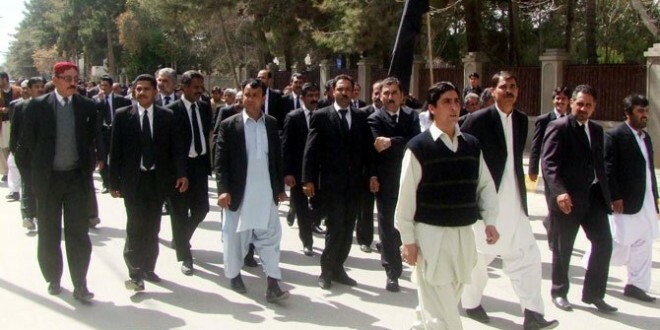 The Swat Bar Council announced the boycott of courts by lawyers would be observed black day tomorrow on Thursday. Swat lawyers strongly condemned the Shabqadar attack on Monday, which left 16 people, as well as children, dead.